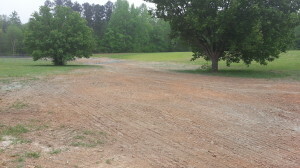 Robinson & Sawyer, Inc. provided pervious/impervious area mapping for Freightliner’s 105 acre facility in Gastonia. Robinson & Sawyer, Inc. provided design for the replacement of approximately 1,465′ of storm drain pipe along with associated drainage structures. The project also included design surveying and as-built maps upon completion of the project. Miscellaneous storm drainage improvement projects involving design surveys, analysis and design, construction document preparation, easement acquisition surveying and mapping. Study included hydraulic analysis of the drainage basin (approximately 143 acres) and an analysis of major detention structures within the basin. Study included hydraulic analysis of the drainage basin (approximately 144 acres) and a hydraulic analysis of drainage structures within the basin.